With cooperation from mother nature and Ottawa County’s beloved “lake effect” snow, many activities are offered for the winter sports enthusiast. Pigeon Creek Park offers groomed country ski trails, ski and snowshoe rentals, ski lessons, sledding and more. Hemlock Crossing is another popular destination during winter offering snowshoe rentals at the Nature Center. Many other parks offer miles of un-groomed cross country skiing trails for those wishing to sharpen their nordic technique in the undisturbed wild or enjoy a quiet, winter afternoon of snowshoeing. With the Grand River, Pigeon River and Macatawa River, Ottawa County offers many locations for those looking to paddle. Several Ottawa County Parks offer kayak and canoe access. In addition, the Grand River Heritage Water Trail offers maps, tips and more. Throughout the spring, summer and fall, Kayak tours are organized and rentals available. This is a great opportunity to try kayaking before making a large investment! Please note kayaks are only available to rent during scheduled tours. Check out our event calendar to register for a kayak trip. Fishing is available at many properties. Fisherman must follow the state laws. Boat launches are available at Deer Creek Park, Grand River Park and Riverside Park. A $5 boat launch fee is collected at Riverside Park. An annual motor vehicle permit is required at the Riverside Park boat launch Memorial Day weekend through Labor Day. 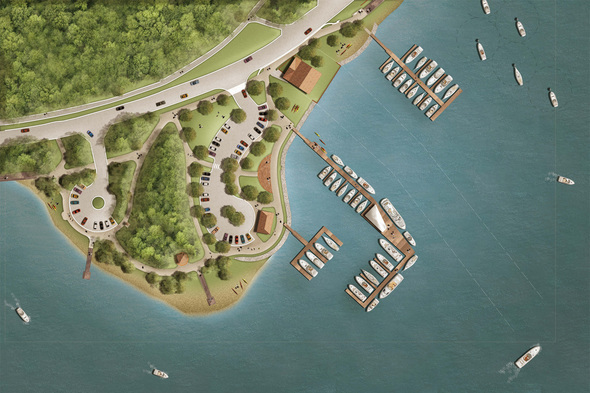 In 2019, Ottawa County Parks will open the Ottawa Beach Marina at Historic Ottawa Beach on Lake Macatawa. It will be the closest marina to the mouth of Lake Michigan. It is currently planned to have 26 transient slips, 15 seasonal slips, and 5 moorings. Construction will begin in October 2018. For more information about the project, please sign up for email updates. Boat launches are available at Deer Creek Park, Grand River Park, and Riverside Park. An annual motor vehicle permit is required at the Riverside Park boat launch Memorial Day weekend through Labor Day. Whether you prefer hiking along the lakeshore, though forests, or along rivers and streams Ottawa County has miles of hiking trails too offer. Nearly every park location offers hiking, download trail maps for each park from this page. If a guided tour interests you, check out our programs presenting nature and wildlife themed hikes tailored to the season. Equestrian trails are available at Pigeon Creek Park (3 miles), Eastmanville Farm (4.5 miles) and the Musketawa Trail (10 miles). Horses are welcome on designated trails at Pigeon Creek Park from March 1 through November 30, if trail conditions permit. Because of cross country skiing at Pigeon Creek Park and snowmobiling on the Musketawa Trail, these trails are unavailable for horseback riding during the winter. The trails at Eastmanville Farm are clay-based and become slippery during heavy rainfall throughout the year. Trails at the farm will close under these conditions. For trail conditions at Pigeon Creek or Eastmanville Farm, call the weather hotline: (616) 738-9531. The original River Road is the oldest byway in Ottawa County and one of the oldest in the state. Travel the Historic River Road Tour and transport across time and space. Following the contours of today's Grand River Greenway, Historic River Road defines the progression of our regional civilization. Long ago, mastodon and other prehistoric beasts tramped paths along the banks of the Grand River. Later Potawatomie and Ottawa Indians established camps and villages to form the Grand River Trail. Lumbermen turned that trail into tramways that delivered logs to the river. Using the tour guide, you can enjoy an afternoon traveling and learning more about the local history. Printed copies of the tour guide are available at the Nature Center for $3. Already completed the Historic River Road Tour? Download an additional insert with three half day activities. Ottawa County Parks are generally safe. These common-sense precautions will help make your visit a pleasant one. Please see the amenities & features at all the parks for more activities, including swimming, volleyball, picnicking, and others!